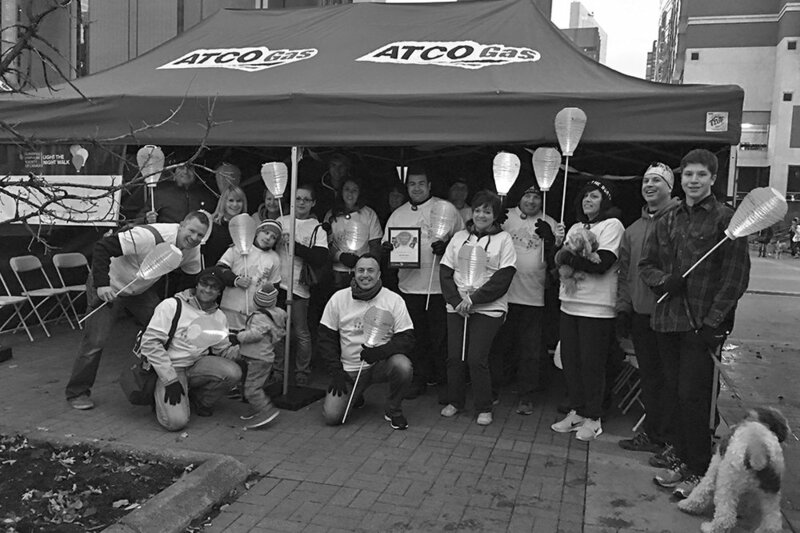 On Saturday, October 15, thousands of participants gathered at Eau Claire Market to take part in The Leukemia & Lymphoma Society of Canada’s 12th annual Light The Night Walk in Calgary. At twilight, participants walked in solidarity holding illuminated lanterns along a designated 5 Km route, to bring help and hope to the more than 100,000 Canadians affected by a blood cancer. Sagium’s staff worked diligently on their fundraising efforts and generated over $15,000 through the individual donations of our sixteen walkers. Sagium was honoured as the Top Corporate Fundraiser at the event.